Here are some poems I’ve enjoyed recently. Two jaunty, tongue in cheek poems that use quirky metaphors from the natural world to explore themes of ancestry and identity. A different perspective of nature. A poem about the vague notion of wanting to feel light and free. His father dies and he wonders if he should update Facebook: “People will like that.” It’s a very poignant poem. Do read it. A touching poem. Looking back on a teen friendship. Wonderful poem – man against the world. Also just a refreshing insightful look at ancient sculpture. Loved it. I did not ask for uncommon beauty in afterlife. Only one that restores the life I had in you. Do not bury me in your yard after you slay me. Mad after me, why should the world find you? I will get around to love’s grand gestures too. Past ordinary sorrows, I will be back for you. Must we go with Khizer, that hoary travel guide? I will grant he is a sage and he looks out for you. I have called on lovers to look out for Ghalib. He is a good man, better poet and hurting like you. I came across this poem on 3quarksdaily, a site that posts interesting articles from around the web, and which also posts poetry. I’ve been reading the poems on 3quarksdaily for several months now. They have a good mix of the old and the new. Ghalib is not someone I’ve heard of before. According to Wikipedia he was an Urdu and Persian poet who lived in the Mughal Empire from 1797-1869 under British colonial rule. 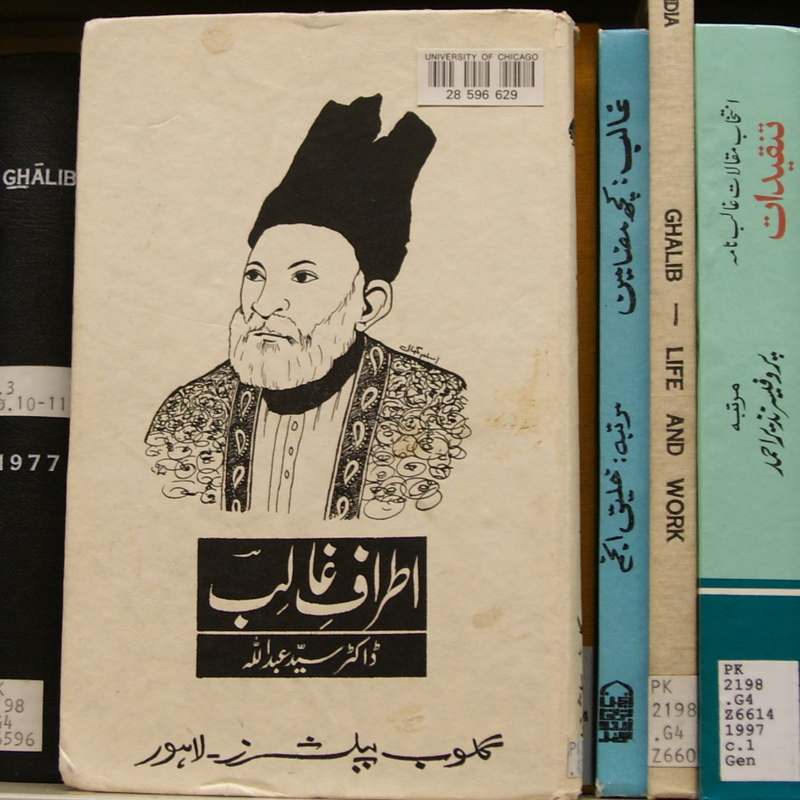 ‘Ghalib’ is a pen name meaning ‘dominant.’ It sounds from the Wikipedia article like he is a very famous Urdu poet. “Do not bury me in your yard after you slay me. “I did not ask for uncommon beauty in afterlife. I don’t know enough about Ghalib to know if the subject of this poem appears in other poems or was important in his own life. A bit of extra context could possibly shed some light on this. For now, however, I’m content just to enjoy this poem for what it is, a love note of the highest quality. Let’s stop for a moment and think about some of the things that are this world. Greet the crisp morning air. As it warms up your meal. They only have eight minutes. He is going on a journey that will take him round the world. It will be years before they can touch again. His craggy face is forgotten as they come together. Her golden hair flares at the edge of their silhouette.